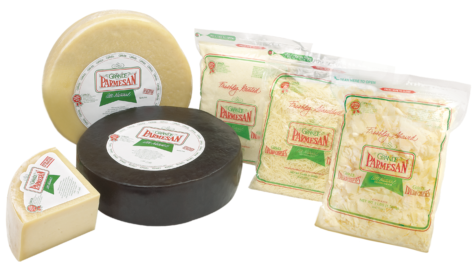 Grande Parmesan’s full flavor is developed by aging the cheese over the minimum 10 months. It comes through in its subtle, nutty flavor that goes perfectly in soups, salads, pastas, sauces or anywhere you want to add a unique signature flare. Click here to ask a question, share an idea or request a sample. © 2019 Grande Cheese Company. All rights reserved. Reproduction without permission is prohibited.